We offer superior customer service and on-time deliveries of aerial work platforms, rough-terrain forklifts, excavators, compressors, pumps, generators, concrete solutions, and compaction along with an extensive service and parts department. 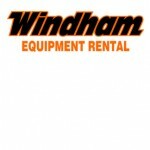 Windham Equipment Rental is an exclusive construction equipment dealer for DR line, Ariens and Gravely, Generac dealer, and Stihl, and more. We pride ourselves on our customer service policy and our customer support, along with the large variety of equipment we have available. If you have any questions about the equipment, our prices or rental policies, please feel free to contact us directly.